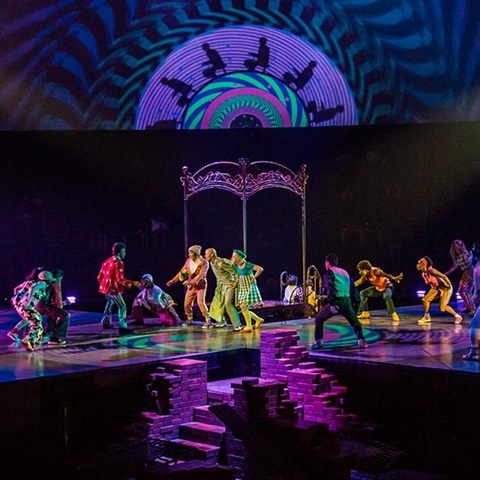 The Beatles LOVE by Cirque du Soleil celebrates the musical legacy of The Beatles. Drawn from the poetry of the lyrics, LOVE explores the content of the songs in a series of scenes inhabited by real and imaginary people. New acts, costumes, choreography, technology and music bring a more vibrant and engaging experience to one of the most celebrated shows in the world. The three-time Grammy Award winning LOVE is a Rock 'n' Roll poem, inspired by the poetry of the lyrics and brought to life by a cast of world-class aerialists, acrobats and dancers. Music Director Giles Martin, son of the legendary Beatles producer, Sir George Martin, has heightened LOVE’s listening experience with a completely remixed soundtrack, noting “The show is the closest anyone can get to being in the studio with the band”. Doctor Robert: A doctor of mysterious character, and not necessarily of medicine. A gracious host, he gladly supplies "tea" to unsuspecting drinkers and encourages them to take leaps of faith into new and sometimes intoxicating ventures. The Fool: Silly yet profound, the Fool is the duality that lives in all of us. He is fun, loveable and enigmatic, and marches to his own off-beat. He is restless, yet soulful. Groupies: The age of Rock 'n’ Roll infected no youths more than the Groupies – girls unleashed into a delirious and frantic obsession to chase boys, demonstrate lust and dance their bobby socks off. Sailors: Evoking the ports of Liverpool, the Sailors represent both the strength of a nation and the gateway through which The Beatles were exposed to the musical influences that would ultimately shape their lives. Philippe Guilottel, Love's costume designer, wanted to infuse the same spirit of the Beatles into the costumes for Love. Many include juxtaposed elements, such as traditional and Victorian fashions being combined with colorful, imaginative designs. The minimum age to attend The Beatles LOVE at The Mirage Las Vegas is 5 years old. Guests under the age of 18 must be accompanied by an adult. This 90-minute show (not including intermission) goes live 5 days a week at 7:00 PM and 9:30 PM, Thursday, Friday, Saturday, Sunday, and Monday, and is dark on Tuesday and Wednesday. It is not permitted to take pictures or record video of The Beatles LOVE. Watch artists do what they do best--flips, twists, and jumps! The Beatles LOVE by Cirque du Soleil invites the public to come watch artists rehearse acts from the show. Acts and disciplines that artists practice will vary depending on rehearsal schedule, however fans will always witness artists rehearse exciting and dynamic elements from LOVE, gaining insight to one of Cirque du Soleil's most beloved productions, seen by more than 8 million people. Also, members of the team will be on-hand to answer questions and share stories of the development of the show. Ticket prices start at about $79 for standard seating and prices go up from there. Ticket Starting Price (Full Price) – Approximately $79 for standard seating. Minimum Age – Minimum age to attend The Beatles LOVE is 5 years old. * The Beatles LOVE is performed in the custom built LOVE theater-in- the-round, featuring a panoramic view of the performance and amazing sound. 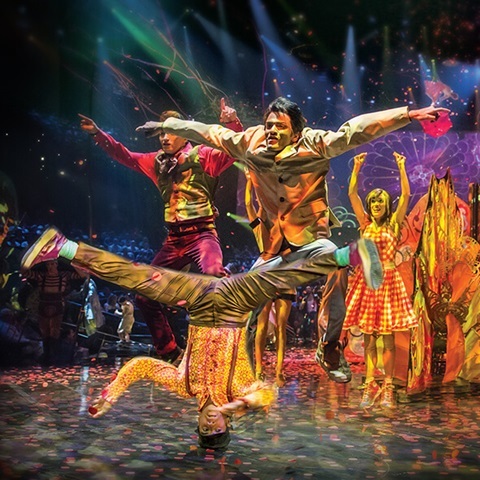 * The Beatles LOVE by Cirque du Soleil is a 3-time GRAMMY Award-wining show. * Sir George Martin, The Beatles original producer, and his son Giles Martin worked with the entire archive of Beatles recordings to create the musical component for Love.